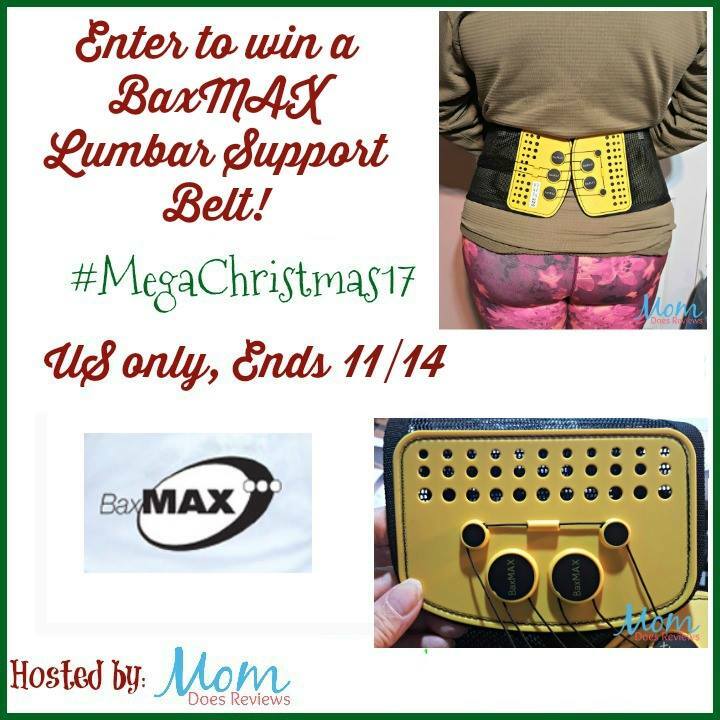 Welcome to the BaxMAX Lumbar Support Belt Giveaway! 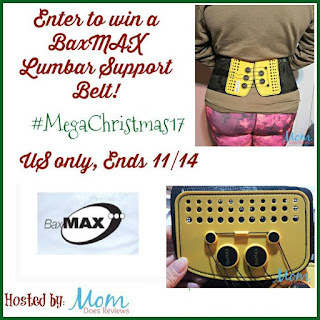 This giveaway is sponsored by BaxMAX and is hosted by Mom Does Reviews. I don't know about you but sitting the majority of the day, whether doing bookkeeping or on the various social media sites, has done a job on my posture and my back!! I do try to get up every hour or so but my back still hurts and trying to stretch it just doesn't work anymore! This lumbar support belt would do me a world of good. AND if you tend to exercise or do a lot of heavy lifting--this is a must for you. Be sure to read Sherryl's review then come back and enter--your back will thank you!! 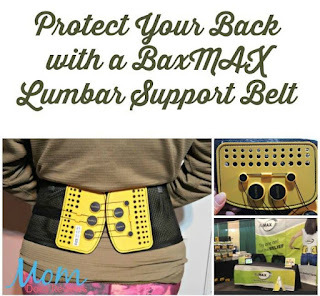 BaxMAX Lumbar Support Belt was created to prevent this compression altogether by taking the body weight off the spine. 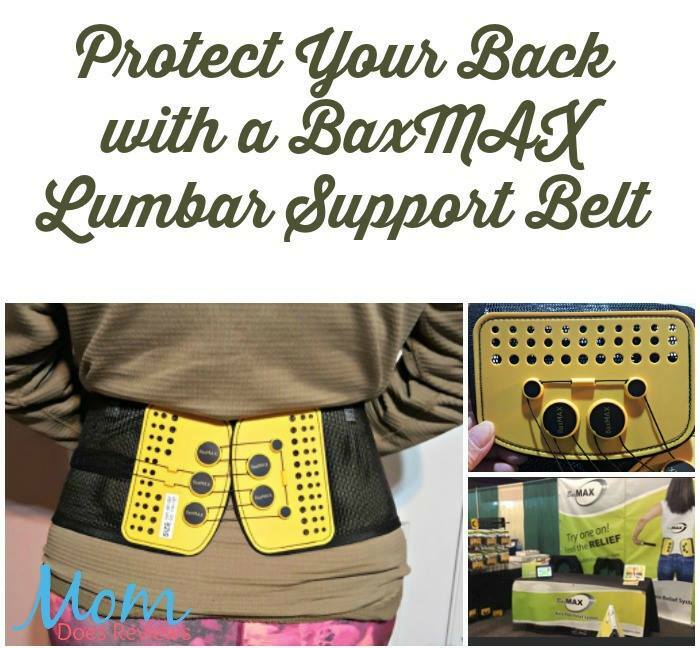 The belt features a patented pulley system incorporated into the design to instantly relieve low back pain, even if you are doing an activity that would normally cause excessive lumbar compression. If you suffer from lower back discomfort, make sure to read Sherryl's review on Mom Does Reviews HERE. One lucky reader will win a BaxMAXX! it would be nice to use this as the back hurt. Most activities cause me pain in my back. I have arthritis in my neck and spine. I usually take loads of Advil. But it doesn't work that well anymore. This would be for my mother-in-law who has back issues after a car accident. It flairs up more when she is generally active (cleaning,walking, bending) a lot.